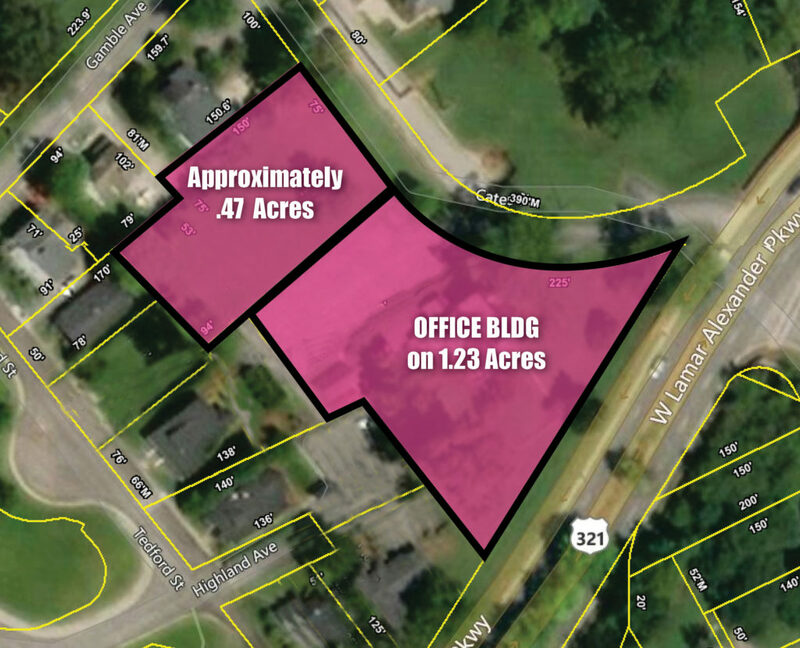 This incredible opportunity in the heart of Maryville features approximately 1.7 acres and is ideal for a hotel, inn, corporate office campus, multi-family, mixed use development and restaurant. 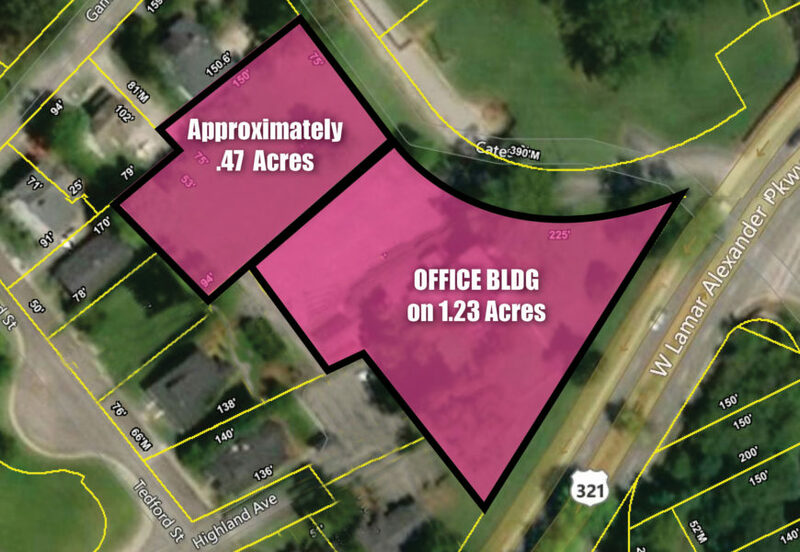 The property is conveniently located to downtown Maryville, the Maryville Municipal Building, the Blount County Courthouse, First Baptist Church, Maryville College, the Clayton Center for the Arts, Blount Memorial Hospital, Maryville Greenbelt parks and walking trails and more. From the Blount County courthouse, travel west onto Lamar Alexander Parkway. Travel approximately .1 miles and 329 Cates Street is on your right. Sign on property.